CAMPBELL BROTHERS 6’8 RUSS SHORT $875. The three fin “Bonzer” was developed in the 1970’s, a design considered way ahead of its time. The Russ Short is still a go-to board that allows for “radical, performance oriented surfing without budging on stylistic excellency”. ICEBERGS POOL AT BONDI BEACH. The Icebergs pool at Sydney’s Bondi Beach is a famed destination and breathtaking sight to see. Two saltwater pools are set on the beach along Bondi’s coastal trail, waves crashing over the sides, for a magical swimming experience. 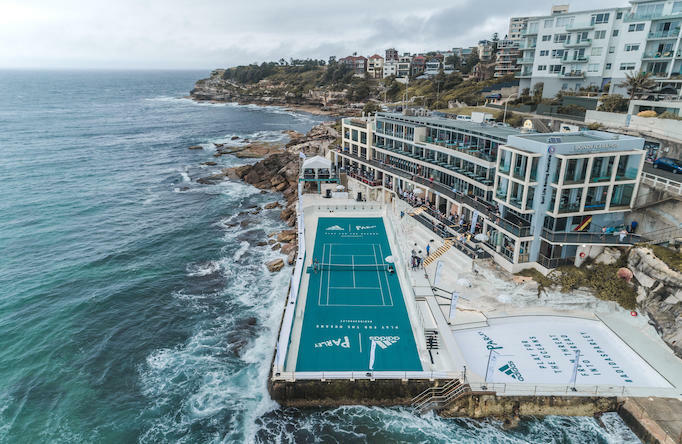 The pool is emptied and cleaned once a week, and sometimes used as a location for special events as adidas x Parley did to launch the Australian Open Tennis Collection. SMITH OPTICS CRUSADER $139. These fun summery shades have all the performance details you expect from Smith, with their ChromaPop lenses for enhanced clarity and color. No-slip nose pads ensure these large frames will stay comfortably in place while you run around. XCEL WETSUIT OCEAN RAMSEY COLLECTION. 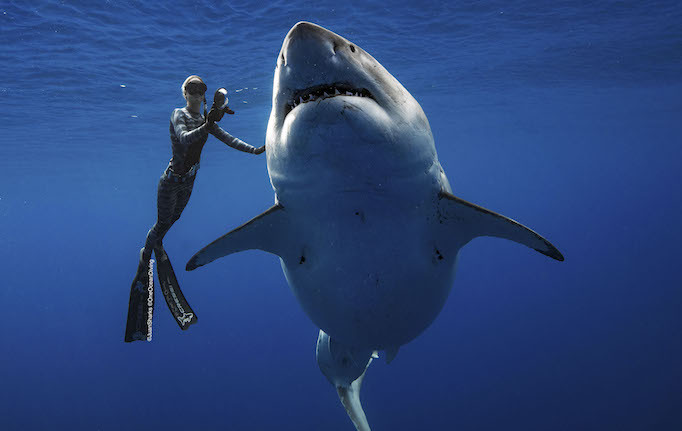 As noticable as her fearlessness are the sleek wetsuits gorgeous marine biologist Ocean Ramsey wears that are patterned after whales, sharks and other marine life. AUSTRALIAN OPEN PLAYERS TOWEL $59.99. Bring home a piece of the Australian Open with this colorful towel, the same design as those seen on the courts in Melbourne. Constructed with a soft 100% cotton terry, a two-tone weave technique enhances the aquatic palette of this commemorative souvenir. CORKCICLE 25 OZ.CANTEEN $33. Crafted from stainless steel with proprietary triple insulation, keep drinks ice cold for up to 25 hours or hot for up to 12 on the inside, without freezing or sweating on the outside. HARI MARI FLIP FLOPS $45.99. Hari Mari offers a new breed of flip-flop designed for comfort and style. Made with memory foam mid-soles, firm arch supports, and ribbed insoles to improve foot grip, Hari Mari flip-flops keep your feet happy anywhere you go. ADIDAS X PARLEY TENNIS COLLECTION. 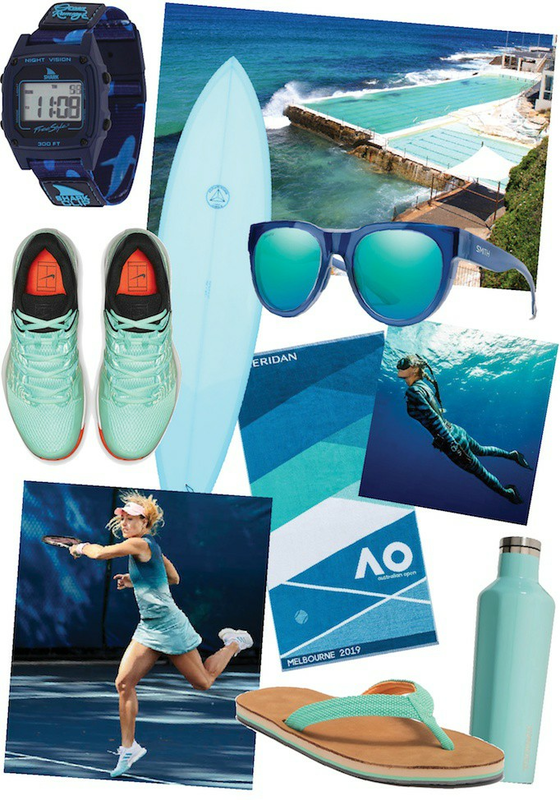 adidas extends their collaboration with Parley in their first ever tennis collection made from Parley Ocean Plastic™ debuting at the Australian Open on such top players as Caroline Wozniacki, Garbine Muguruza, Angelique Kerber, and Sascha Zverev. Literally made from upcycled plastic waste intercepted on beaches and coastal communities, adidas x Parley is helping to combat marine plastic pollution, raise awareness, and champion eco-innovative solutions to one of today’s most pressing environmental issues. NIKE COURT AIR ZOOM VAPOR X $140. From the Nike Melbourne Collection for the 2019 Australian Open come these tennis shoes seen on the sport’s top players like Serena Williams, Rafael Nadal, and Maria Sharapova – and available for us amateurs too.